Twenty people have been injured in Seoul after a PR stunt by LG involving helium balloons went wrong. The phone company was promoting its new LG G2 smartphone by placing vouchers for a free handset underneath 100 helium balloons and setting them loose in Seoul. The rational behind the stunt was that people would wait for the balloons to return to earth, before grabbing one and claiming their free phone. Unfortunately, that rather naive assumption was proved wrong when would-be smartphone owners turned up with BB guns, spears and knives in order to bring the balloons down themselves. Out of the twenty people injured, seven had to be sent to hospital and LG has now cancelled a series of PR events it had lined up to promote the phone. "LG Electronics deeply regrets that a number of Korean participants were injured during an outdoor promotional event in Seoul, Korea," a statement from the company read. "We can confirm that seven participants were hospitalised and, although none of the injuries were serious, LG takes full responsibility for the unfortunate situation and has offered to cover all related medical expenses. The incident has been dubbed "World War G" by one regional news channel and goes down as a pretty massive PR fail in our book. 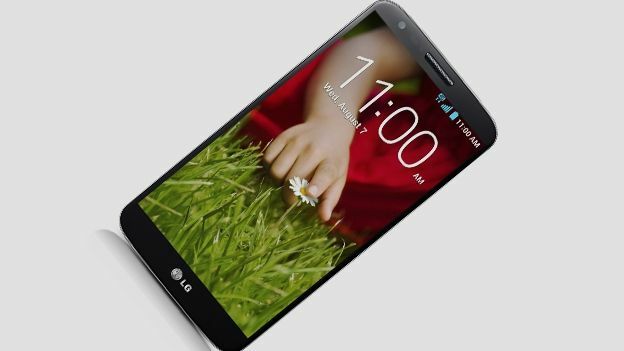 Still, if you want to know what all the fuss was about, check out our hands-on LG G2 review from the New York reveal last week.